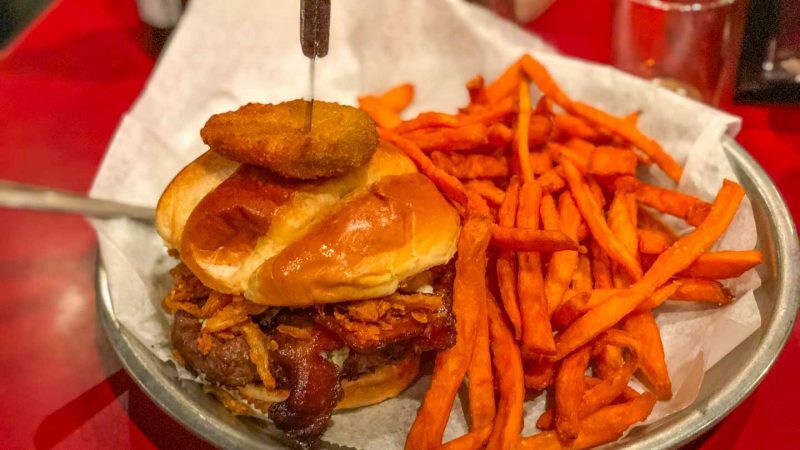 The standard Milwaukee burger isn’t just cheese, pickles, and ketchup there are a ton of restaurants serving up their versions of the “Best Milwaukee Burger”. 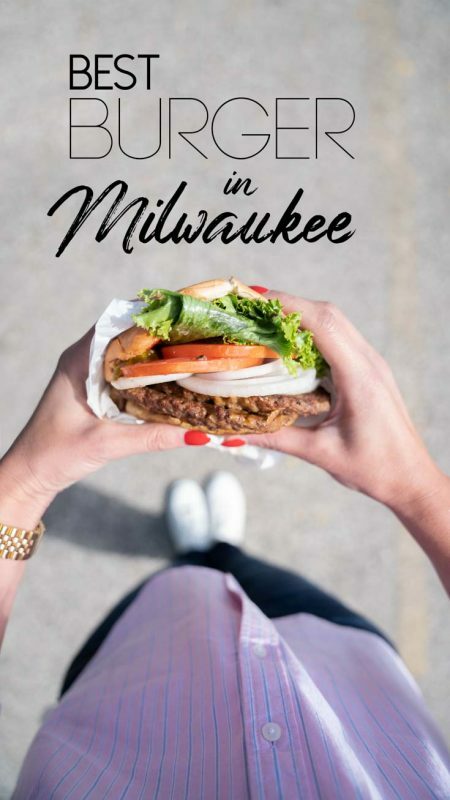 So where is the best burger in Milwaukee? That’s a tough one to answer as there is no shortage of tasty burgers in Milwaukee. 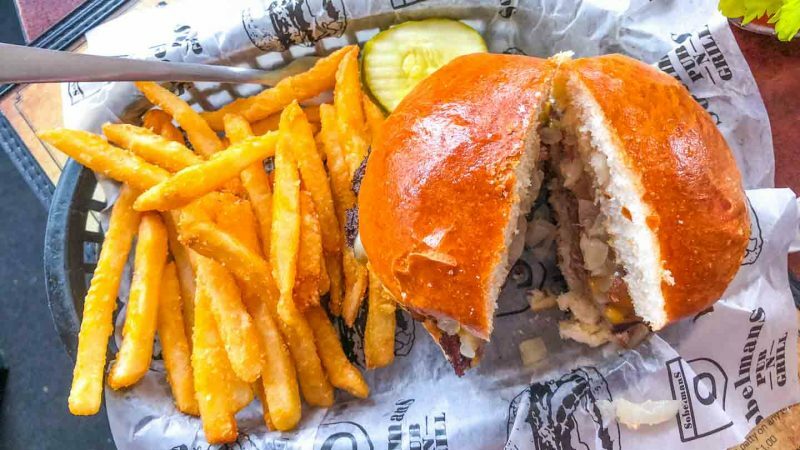 We’ve narrowed down the list to our favorite burger restaurants in Milwaukee. Kopps is a popular local Milwaukee chain with 3 locations. Kopps is famous for their frozen custard but they also have really good and BIG burgers for under $5. This is a take-out burger place as there isn’t really any seating inside only stand up tables and benches outside. Address: 5373 N. Port Washington Rd. Address: 7631 W. Layton Ave. Address: 18880 W. Bluemound Rd. Sobelman’s is an iconic burger joint in Milwaukee. It recently was on the Travel Channel’s Food Wars and their burger went up against AJ Bombers and sadly Sobelman’s came out the loser. This is where the “Loser Burger” came from and it’s on the menu to this day. Its location is odd as there really isn’t anything else by it but it is on the way to Miller Park only a two miles away. It’s a popular place on the weekends as they also known for their Bloody Mary’s. Address: 1900 W. St. Paul Ave. 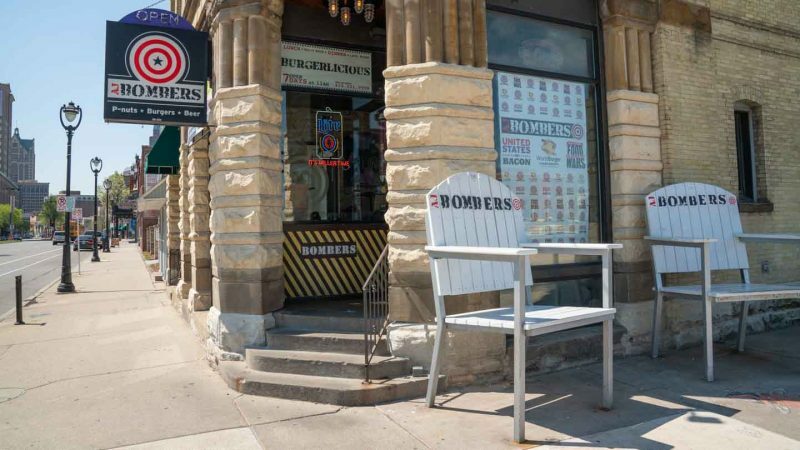 Address: 1601 W. Wells St.
AJ Bomber’s first opened in 2009 and since then has expanded even into Miller Park. What leads to their success was obviously ridiculously good burgers but also winning Food Wars on the Travel Channel. They also serve up boozy frozen custard shakes! Address: 1247 N. Water St. 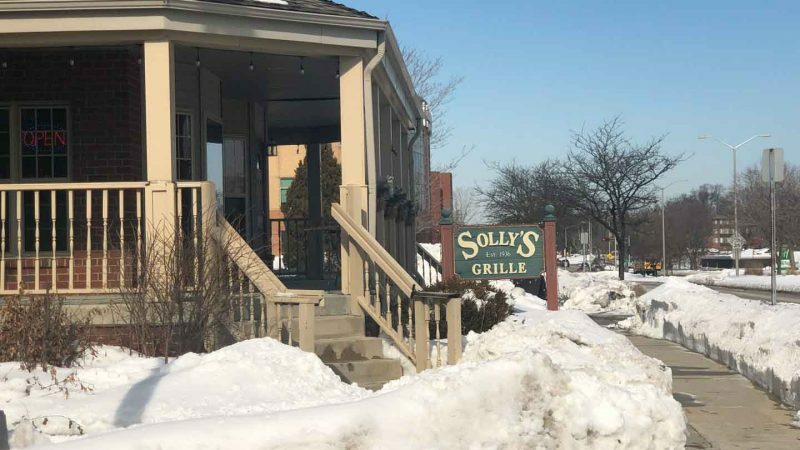 Address: 11340 W. Burleigh St.
Solly’s Grill is one of the oldest Milwaukee burger restaurants established in 1936. They claim to be home of the butter burger but so do other restaurants but honestly, it doesn’t matter who was the original as long as it’s good. Their burgers differ as they are dripping with butter, trust us, just try it. 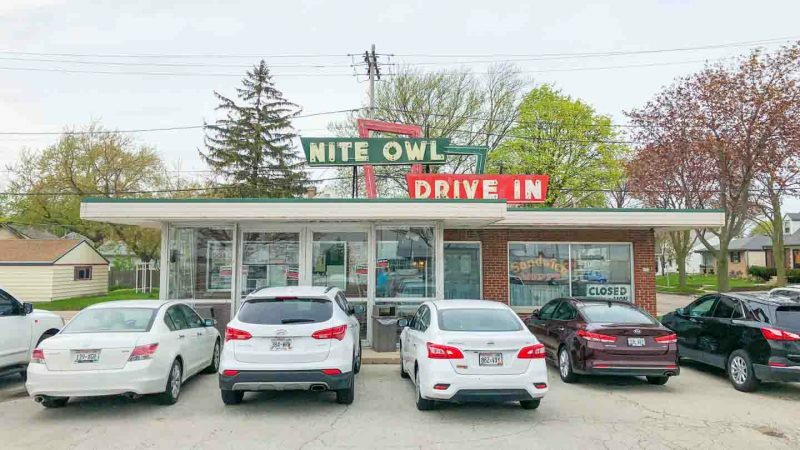 Nite Owl is a totally locals only place. The only people that know about have lived in the area for 30 years or have read this article lol. Once you’ve had a Nite Owl burger you won’t want to go anywhere else. The only issue is their hours, the last few years they’ve changed their hours to basically a lunchtime only place and closed during most of the winter. Not sure if their owners just don’t need the money, or why the change in hours. If you can get here you should, it’s close to the airport if you are flying in. Mason Street Grill is known for their steaks but if you ask us the best thing on their menu is the 10 ounce Mason Street Grill for $16. You may think that is pricey for a burger but the quality, service, setting are worth it. It’s our favorite fancy restaurant in Milwaukee for a burger. 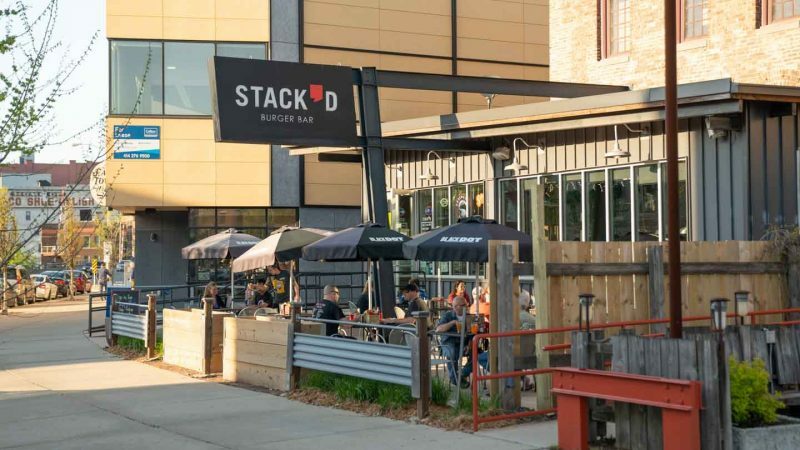 Stacked specializes in burgers, hence their name. They have several specialty burgers that have been approved by all the best foodies in Milwaukee. However, there is something about building your own burger. Staked Burger Bar has tons of toppings and you can make whatever your stomach desires. If you aren’t that hungry stop in for their happy hour Monday-Thursday 2pm-6pm for $2.50 beef sliders and wash it down with a local Milwaukee brew. Crave Cafe is new to the Milwaukee Burger scene but it’s been consistently rated as the best burger in Milwaukee. You could easily drive by their location and not even see it. We personally thought it was a coffee shop, the branding is off but their burgers are not. They only serve burgers, salads, and fries in cute Chinese takeout boxes. ACrave Cafe has quickly become our go-to burger spot. On return visit consider trying their soft shell crab BLT, it’s just as interesting as it sounds. 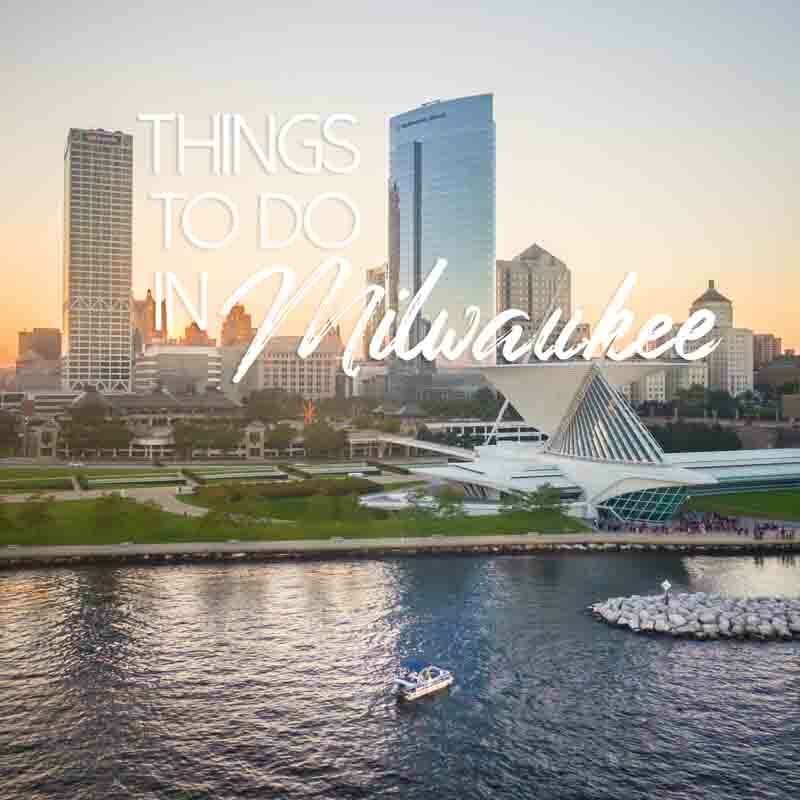 Mazo’s is a Milwaukee tradition located on the south side of Milwaukee. It’s a hole in the wall place with only burgers, sides, and old-fashioned shakes on the menu. Nothing fancy here but a good cheap burger. Walking into Oscar’s it has that Wisconsin pub vibe and feeling but not your traditional bar food. 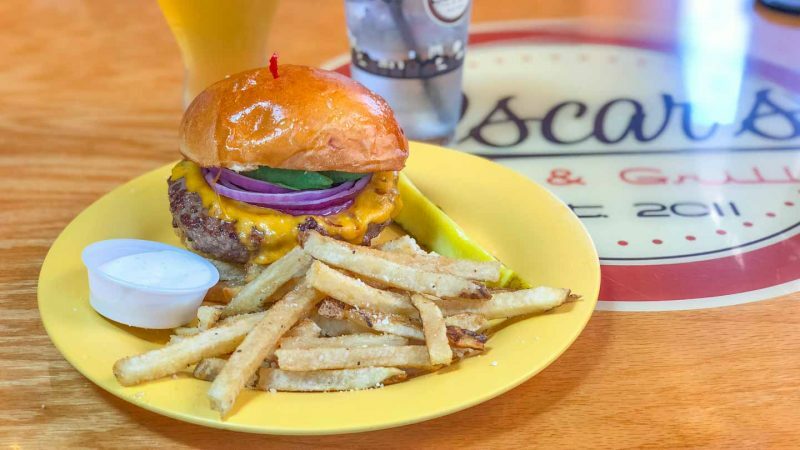 The owner Oscar has had some experience in the Milwaukee burger scene as he used to work at Sobelman’s, Wicked Hop, Wild Flour Bakery, and other local restaurants. He eventually decided to open his own restaurant featuring the “Big O” his favorite burger in Milwaukee. 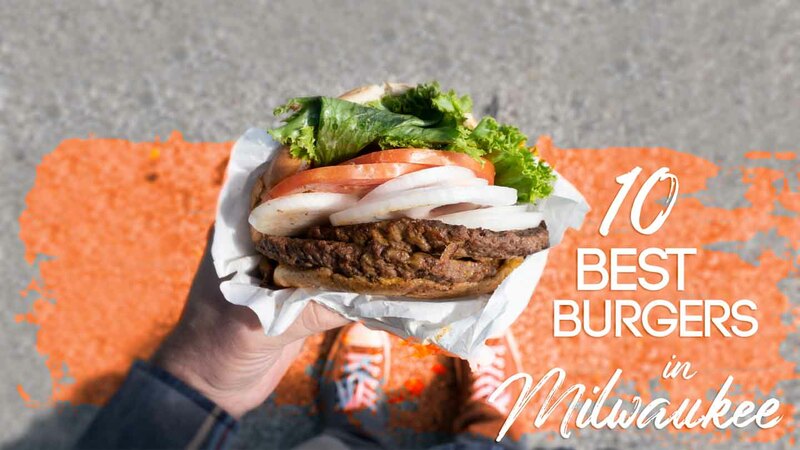 The half-pound burgers are served on a bun specially made for Oscar’s Milwaukee only from Wild Flour Bakery. Don’t forget to get your burger served with a side of homemade fries. We think this is one of the best cheap burgers in Milwaukee, huge burger and fries for under $10. Culver’s is a popular burger chain that is all over the USA but started in Wisconsin. Culver’s is great if you’re looking for a drive-thru meal or something casual. They also have some of the best frozen custard in Milwaukee it would be a sin not to get a scoop or two. Culver’s Restaurant each sets their own hours some open earlier and stay open longer but the standard Culver’s hours at 10:30 am – 10 pm. 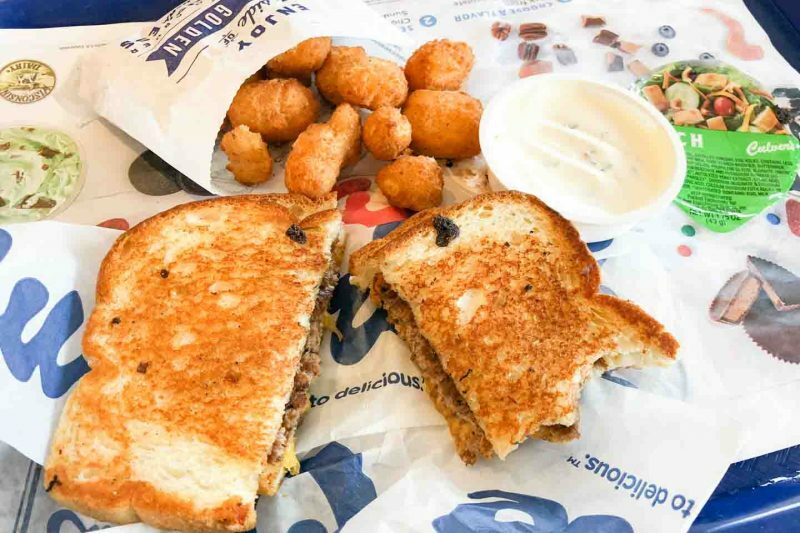 There are 10 Culver’s locations in Milwaukee County we’ve listed the just a few. 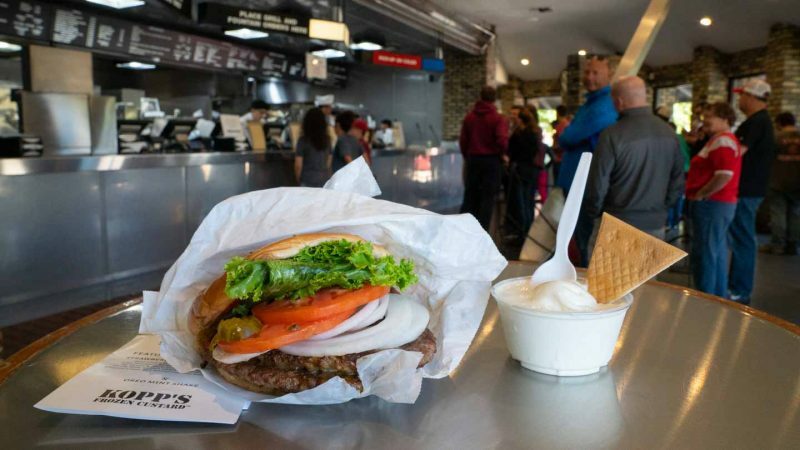 The infamous Shake Shack from NYC now has a location in Milwaukee. Every time we go to NYC we would have a Shake Shack burger but now we can have it every day at their Shake Shack Downtown Milwaukee location. 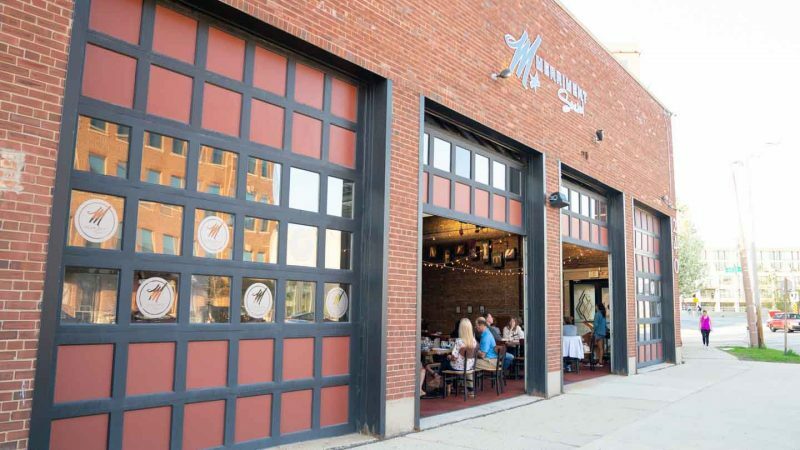 If you are in town for one of the Milwaukee festivals at the Summerfest grounds this would be a great place for a bite to eat before heading into the festival. Don’t forget to pin me for later!